While residing in a small town in Northeast Ohio for most of his life, Rob has developed a passion and dedication to music. For him, it’s not chasing a dream of being rich and famous. It’s simply about creating good music. Rob picked up his first guitar at around eight years old and still owns it to this day. After experimenting on the guitar and taking a few weeks of lessons he played out for the first time at this young age. Lessons didn’t seem to interest him at the time so that came to an end. This led to a long sabbatical, as his first guitar collected dust. Maybe it was playing the saxophone in concert band at age ten that brought the interest of music back into his life. Meeting his life long friend Dustin Skidmore who also played guitar and sax had an influence as well. After spending time with Dustin and finding out he played guitar, Rob was destined to relearn the six stringed instrument. Rob’s mom, also a guitar player, saw the musical interest in her son’s life and taught him only a few chords. After quickly learning and memorizing those chords he began to explore the guitar and taught himself new chords and techniques. One Christmas his parents purchased him a used Fender Telecaster. It wasn’t long before guitar lessons seemed essential for Rob to continue growing as a guitarist. However, only after several weeks of practices and lessons at New York Music he decided to quit. 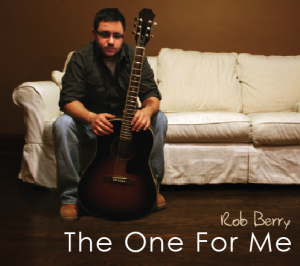 This has led Rob to becoming a predominantly self-taught musician. During high school Rob began singing and writing his own songs. They weren’t much at the time but they were a start. He played his first gig at The Mocha House in Boardman, OH. Although there was a great turnout and plenty of encouragement, it wasn’t enough to keep him going. Rob left his hometown to pursue a college computer networking degree. After being enrolled for nearly two years he dropped out and moved back home. It wasn’t long before he got back into the groove and began writing more songs. He met his good friend Ian Proverbs who introduced him to Mike Myhal and Bob Beals of Imperfekt Musik Recording Studio in Austintown, OH. Bob Beals, who is a huge influence on Rob’s music career, co-wrote and produced Find Yourself In Love along with the rest of Rob’s album.